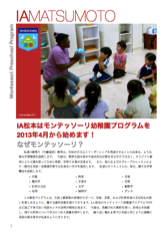 This classroom program will be supplemented with a variety of extracurricular activities throughout the school year for the students and their families to enjoy sports, music and the arts, and cultural celebrations from around the world. After 3 years of study in a Montessori preschool program, parents can expect their child to have a good command of receptive English. 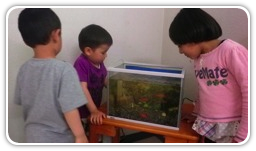 Students will work with materials designed to hone their motor skills, pique their curiosity, and expand their vocabulary as they learn more and more about the world around them. 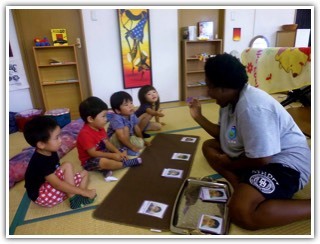 Daily language activities will guide children toward fluency in reading and writing using the English alphabet as well as Japanese characters. Students will enjoy the unique benefits of a small staff-to-student ratio to maintain the feeling of a close-knit community. 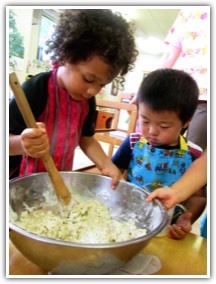 The school will work closely with local chefs and SWEET bakery to provide a nutritious, well-rounded lunch menu. Students will also have daily access to our expanded 2nd floor gym facilities, providing all the necessary space for challenging their active bodies. 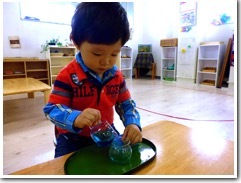 Students between the ages of 2½-6 may participate in our Montessori Preschool program. 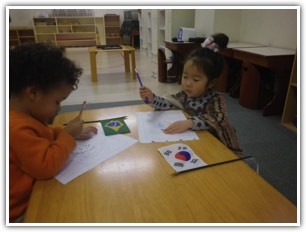 Tuition includes our international curriculum and lunch daily. Afternoon Learning Lab and other extracurricular activities are available for an additional fee. Tuition discounts are available for multiple students within the same immediate family and students wishing to participate in multiple programs. 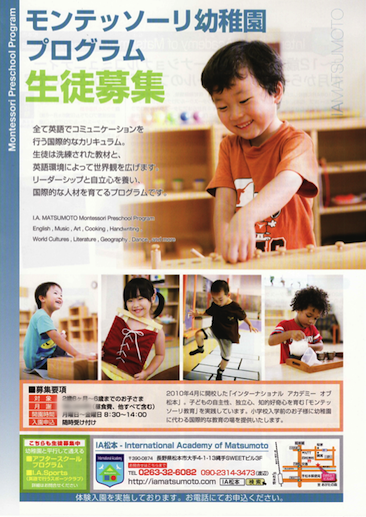 We will distribute an annual calendar, detailing holidays and school vacation periods. 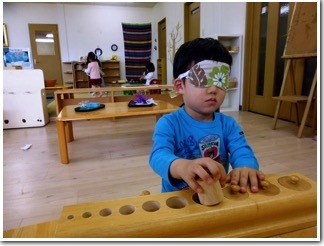 The role of a Montessori teacher is one of guide and observer, whose ultimate goal is to motivate more and more independent discovery as the child develops. The teacher builds an atmosphere of order and peace in the classroom and encourages the children in all their efforts, thereby promoting discipline and self confidence. 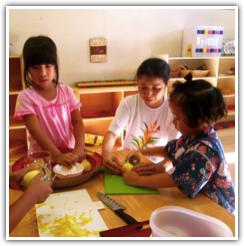 With the youngest students in the class, the teacher is more active, demonstrating the use of materials and presenting activities based on an evaluation of the child's needs and sensitive periods. 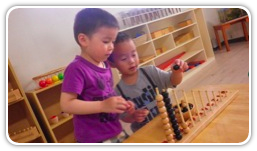 Knowing when to observe and when, and how much, to intervene is a skill the Montessori teacher develops through extensive training and practice. 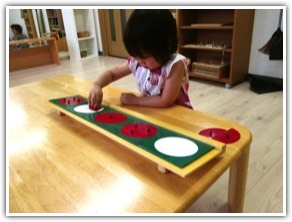 A Montessori classroom is distinctly different from most traditional classroom settings. One of the first things that visitors will notice is the lack of rows of desks and chairs for the students. 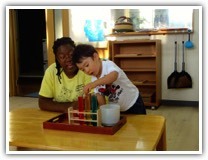 The reason for this is that Montessori teachers present lessons to the students individually or in small groups. This area of the classroom provides　activities that allow the students to practice caring for themselves and their environment. From dressing to table-washing, this one of the first areas in which young students can gain self-confidence and begin to assert their independence. In this section of the classroom, students will find activities that will appeal to all of their five senses: touch, sight, sound, smell, and even taste. More than just addition and subtraction, students will receive an introduction to early concepts in fractions, graphing, geometry, algebra, and more. In this area, students can explore the complexities of communication. Vocabulary and phonics activities all prepare young learners for writing and reading on their own.